Q. How do I find a study space? There's a variety of different spaces for studying in the Libraries. We have Quiet Study Areas, Group Study Areas, Group Study Rooms, Study Carrels, and Computer Labs/Areas. Quiet Zones define the Quiet Study Floors/Areas. A Quiet Zone is an area designated specifically for quiet study and reading. All areas of the 3rd, 6th, & 7th floors. All areas of the 3rd floor. Group Study Rooms can be reserved online. Limited numbers of Group Study Rooms are located at both the Green Library & Hubert Library. 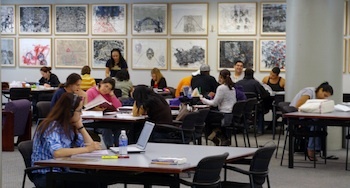 Group Study Rooms are available only for enrolled FIU students. 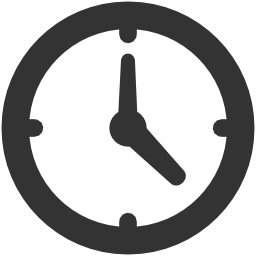 They are available on a first-come, first-served basis OR can be scheduled ahead of time online. Student Carrels for graduate students and Ph.D. candidates are available on a first-come, first-serve basis. There are a limited number of carrels available. Open Group Study Areas can be found on the non-quiet floors of the Libraries. These areas allow for moderate levels of noise and discussion (while not disrupting others) and collaborative group work. Computer Labs/Computer areas are also available to support education and learning at FIU. This includes doing research for class work, preparing and printing class papers, reports and projects, using class web pages and discussion forums, e-mailing instructors and other class members, and other related activities. A limited number of laptops are also available for checkout from Device Checkout at GL or the 1st-floor Checkout desk at HL. Government Documents Research Area, 2nd fl. Alcoves, 3rd, 6th, 7th fls. Alcoves, 2nd & 3rd fls.